We are Jenna and Dominic, a newlywed expat couple. Both of us have lived away from our home countries (U.S. for me and England for Dom) for many years. We both met in Honduras where I was teaching kindergarten in a small village school, while Dom was backpacking through Central America. Don’t want to get too cheesy about it, but it was kind of the love at first sight thing…. Three years after meeting (which involved two years living in Kaohsiung, Taiwan), we tied the knot in Plan de la Tour, France.We’ve been traveling ever since, and are currently looking for a new home, as we’ve found the expat life suits us. I’m a native Texan who has been hopping around teaching/traveling since 2010 . During this time, I have traveled to over 30 countries. Today, I live this beautiful life as a yoga teacher/student, and Holistic Health Coach, as my intention is to make the world a better place by helping people make better decisions with their forks….or chopsticks. I love Ashtanga yoga, vegan cuisine, and could drink my weight in cold pressed green juice. To find out more about health and wellness, or if you are interested in online health coaching sessions with me, you can visit me over at my health blog Healthier Notions. Originally from England, I have been living and working overseas – mainly in Asia – since 2005. I’m an avid birder and I am keeping a record of my field trips – and my 2016 World Year List on my blog DomtheBirder.com. So far I have seen 2,127 bird species. I am also studying for my MA in Education as I have a passion for teaching. All photographs on Nomad Notions are the author’s unless otherwise stated. Thanks! Glad they were able to provide you with some insight 🙂 Where in Nica will you be teaching? It is such a lovely country, you are going to love it! Ahh great post, I felt exactly the same way boefre moving to Barcelona! I did the same thing for a guy, only let’s just say he turned out to be no Mario. Almost everything that could have gone wrong in my life did in the first six months and it was still totally 100% worth it. Hope everything goes much more smoothly for you, and good luck on your new adventures! I just teared up looking at your picture. I really miss you. That’s great, Sam! Are you planning on moving here in hopes of teaching or are you just coming for a visit? Let me know if you need anything when you get here-advice,help with finding a job, etc. I am more than happy to help! I am planning on moving there Jenna with hopes of teaching yes (its looking like 26 June is the day). I did just over a year in Tokyo which was awesome.Thanks so much… I would love to hook up.. always love meeting fellow yogis..hehe. See you soon! Sweet! Shoot me a message when you arrive and we can meet for a meal (you can find my email under the contact link on my page). I will be at a yoga retreat until June 30 though. Looking forward to meeting you. Safe travels! awesome I will thanks Jenna. Im gonna be staying with my friend Tom Lenham for a while when I arrive… maybe you know him? Yes-I think he lives with my friends Rachel and Teri, actually! Thank, Jaryd!! I am definitely interested, as I love to hear what other like minded travelers have to say! I just received your email, and will respond soon. It might not be until Monday though because I’m leaving for Hong Kong early tomorrow for holiday. Thanks for checking out the blog, Bela! Enjoy your time in the U.S 🙂 I hope to get the chance to visit the Philippines while I am living in Taiwan. Any recommendations on a place to visit? Thanks for the tips. I’m a beach person, but I like quiet.Have you been to Coron? I hear it’s nice as well. I haven’t been there yet but I’m planning to visit the place on July. I’ve heard from my friends who were able to visit the place that it’s really nice there. Hii!! 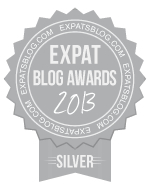 Just checking in Expats blogs since im moving with my husband to the Netherlands! We live in Honduras! Great to read your lice story started here! Regards! That’s lovely!!!! Honduras is such a special place. Where in Honduras do you live?